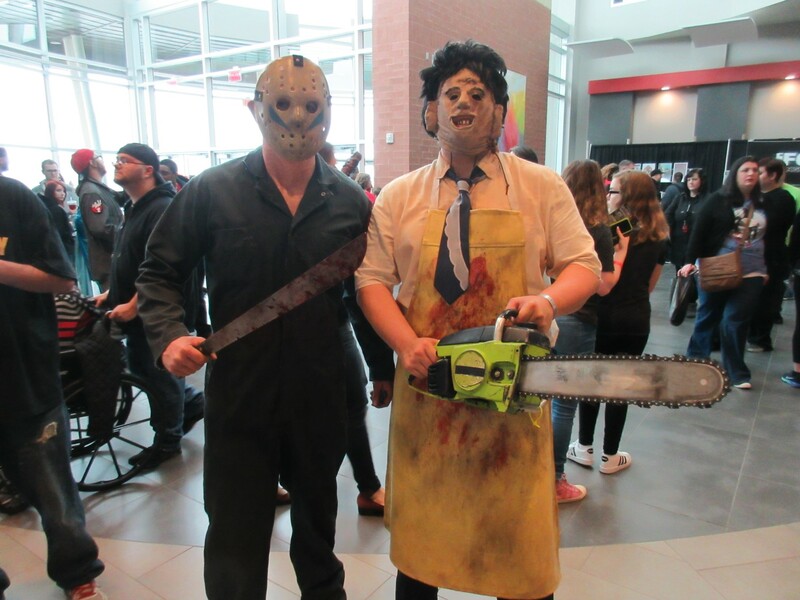 Our HorrorHound Cincinnati 2018 Photo Mini-Parade « Midlife Crisis Crossover! 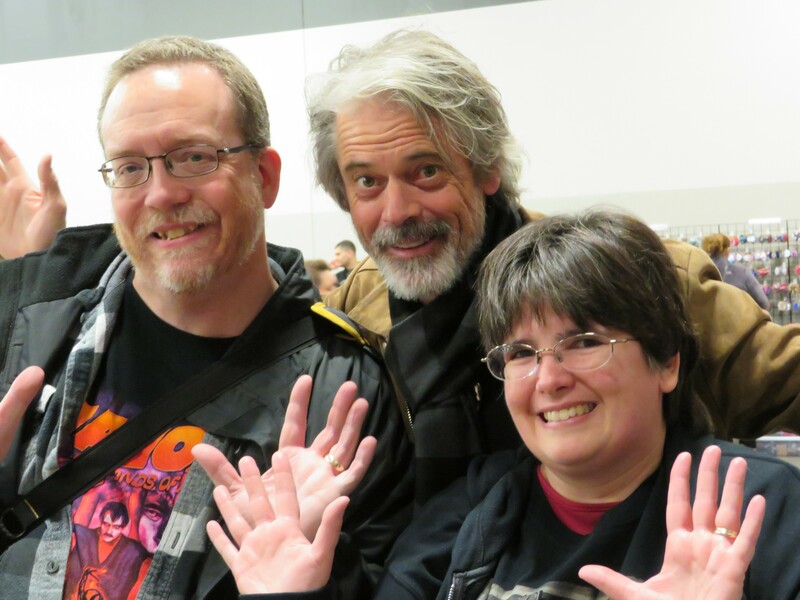 For our Gen-X pals out there: C. Thomas Howell kicks off our 2018 convention season in style. 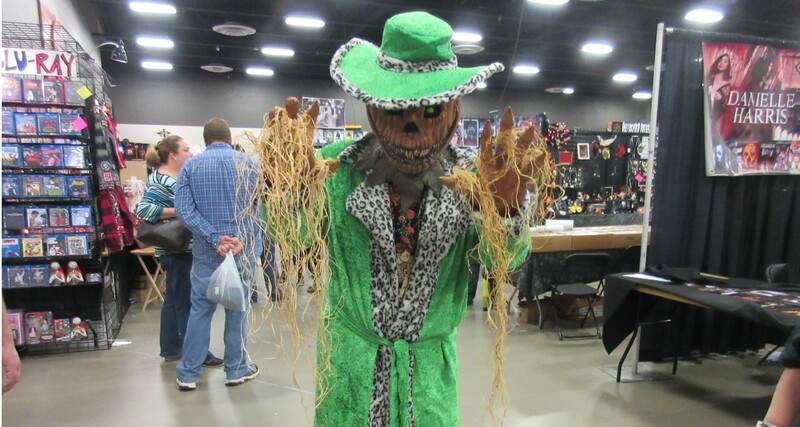 This weekend my wife Anne and I attended our first HorrorHound Cincinnati, an annual convention in honor of the spooky, bloody, gross, unsettling, slashing, nightmare-inducing, id-tastical aspects of pop culture. The folks at HorrorHound Magazine orchestrate the festivities so loyal fans of the murderous and the macabre can enjoy a themed geek space of their own apart from Star Wars and Star Trek and whatnot. (Well, mostly.) 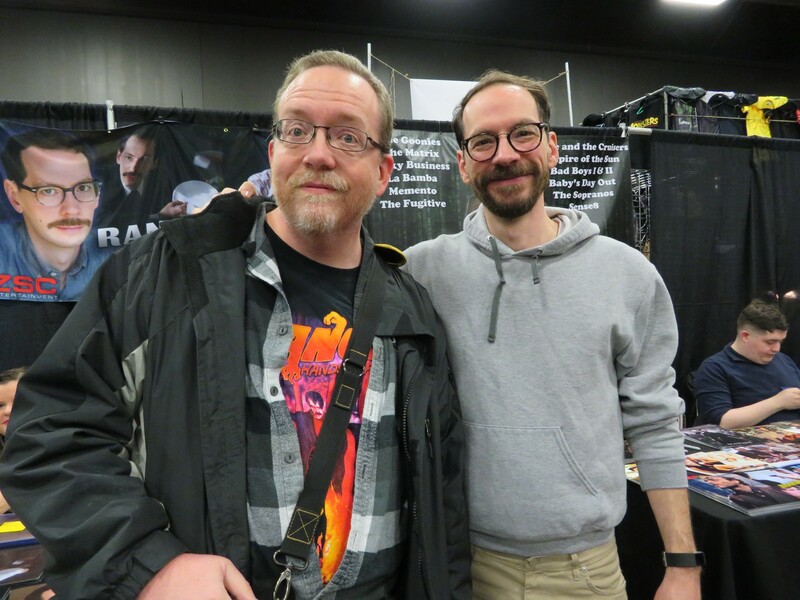 We’ve attended four of the same company’s last five HorrorHound Indy shows in our own hometown because, even though we’ve detached from much the genre as we’ve gotten older and finickier, their showrunners have a flair for assembling a top-notch guest list filled with actors we’ve seen in a lot of great works throughout our lives…and who also happened to have one or more scary movies or TV shows on their resumé. Win-win. First we had to get there. HorrorHound Cincy had the bad luck of falling on a weekend when Old Man Winter decided he wasn’t ready to let the Midwest go just yet. 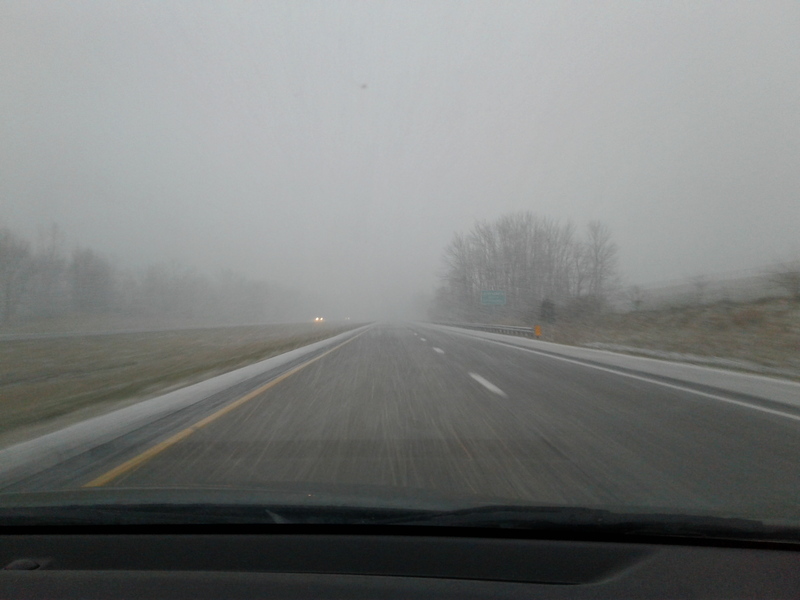 Our complete path from Indianapolis to Cincinnati was under a 24-hour Winter Storm Watch beginning 2 a.m. Saturday. It’s been a good 15-20 years since we had to brave a snowstorm to reach a con, and those incidents were in-state. Normally Cincinnati is a two-hour drive for us, but we left home four hours before showtime to ensure some extra margin in case we had to take it slowly for safety’s sake. As it turned out, visibility was terrible for a while in the morning, but the road surfaces themselves were normal — no accumulation, no black ice, just moisture, therefore no big deal to me. We arrived with nearly two hours till general-admission fans would be allowed on the show floor at 11. We found two lines of freezing people waiting outside the two main entrancces of the Sharonville Convention Center, snowflakes wafting toward them and temperatures showing no signs of getting comfy. Without any way to discern a difference between lines, of course we incorrectly joined the wrong line, the one for those who’d paid extra for early admission. A few minutes later, a volunteer’s booming voice confirmed we’d chosen poorly, so we switched lines. A few minutes after that, another helpful fan informed us we were supposed to go inside a third entrance on the west end, trade our tickets for wristbands, come back outside, then join the correct line. 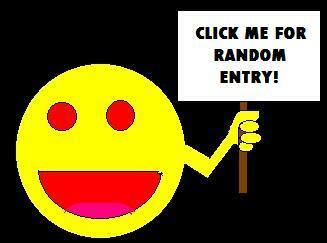 Guessing a con’s entry procedures always seems to be part of the Game, but not our favorite part. We dutifully went inside to make the trade. The kind young ladies at the desk informed us that upgrading to early admission would only cost us $5 apiece. Base admission had only been $25 each, a pittance compared to the large-scale comic-cons we do every year. If it meant one less hour spent waiting in the blizzard, and thereby reducing our chances of returning to work Monday with a terrible cold, to us the ten bucks was worth it. Anne smacked a tenner on the counter, we completed the transaction, we switched to the early-admission line, and we still froze for a while, but for a shorter while than originally planned. 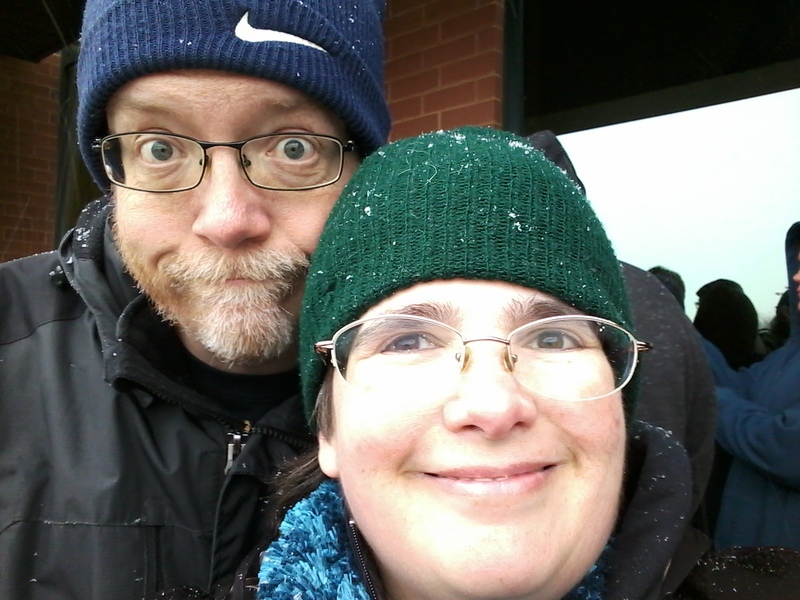 The happy middle-aged couple enduring the elements as a team. Special shout-out here to the stern volunteer walking up and down the crowd, encouraging us in our survival modes and threatening to eject anyone who tried cutting in line. This is the best kind of volunteer. Another special shout-out to the guy sharing the raised walkway with us who saw a Futurama button fall off my con bag, got out of line, worked his way backward to where the banister ended, came around below our position, grabbed my pin from amid the rock garden below, returned to our level, walked back up the line, and returned the pin to me. He was graciously allowed back in his spot and I was thankful to him, and to fandoms in general for often being cool like that. As a show of mercy that you wouldn’t expect from a company with the world “horror” in their name, the volunteers let us in a few minutes early. We warmed up, we doffed our accessories, and we prepared to go a-connin’. One problem: if you’re at a con hoping to meet actors, it’s extremely rare for the actors to be at their table, in position, pumped and ready for autographing at the exact moment the doors are unlocked. Most fans will go form lines for the most popular stars and prepare to wait an hour or three till they’re on the clock. We saw dozens doing so for Stranger Things‘ Gaten Matarazzo, the only guest to have his own separate room reserved for signing. All other actors’ tables were split between three different halls, most of whom weren’t there yet. Neither a surprise nor a problem to us. 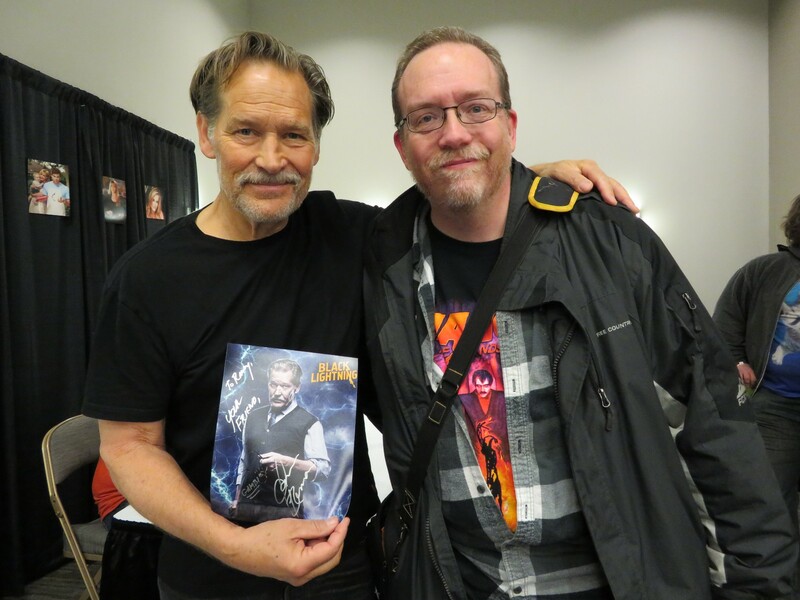 Among those few exceptions, ready and set from the get-go: James Remar! You may have seen him as a stern villain or mean businessman across dozens of films throughout the decades. These days he’s among the main cast of The CW’s new series Black Lightning. As Peter Gambi, he’s a scientist/inventor who lends his skill set to keeping Our Hero’s super-suit functioning as well as trying to be the voice of reason behind the scenes, when he’s not being forced to confront his murky past and some deals with the devil that have come back to haunt him in recent episodes. Far as I know, he’s the first Black Lightning cast member to hit the convention circuit since the show’s premiere in January. Also, he’s a kind gentleman. We agreed that if I had access to a more dapper wardrobe, with a few touch-ups I’d nearly be ready to cosplay as Gambi myself. While we waited for the other big names to filter into the convention center, we wandered the show floor and noted the various booths and displays and whatnot, roughly 98% horror-based. All told, HorrorHound Cincy has more dealers than HorrorHound Indy, but also has much wider aisles for freer walking and more breathing space. Nevertheless, much of the merch on hand wasn’t our thing, though a few items were fun eyeball fodder. 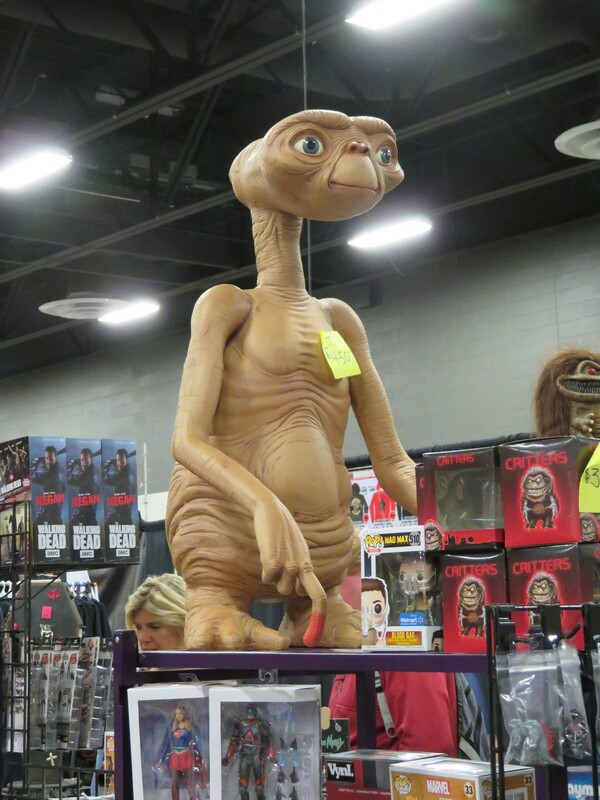 Life-size E.T. statue looms over one corner in honor of the four guests who costarred in the original and were having their own reunion panel on Sunday. Not a horror movie by any definition, but they’ve all performed in other qualifying gigs. Brief intermission for cosplay! 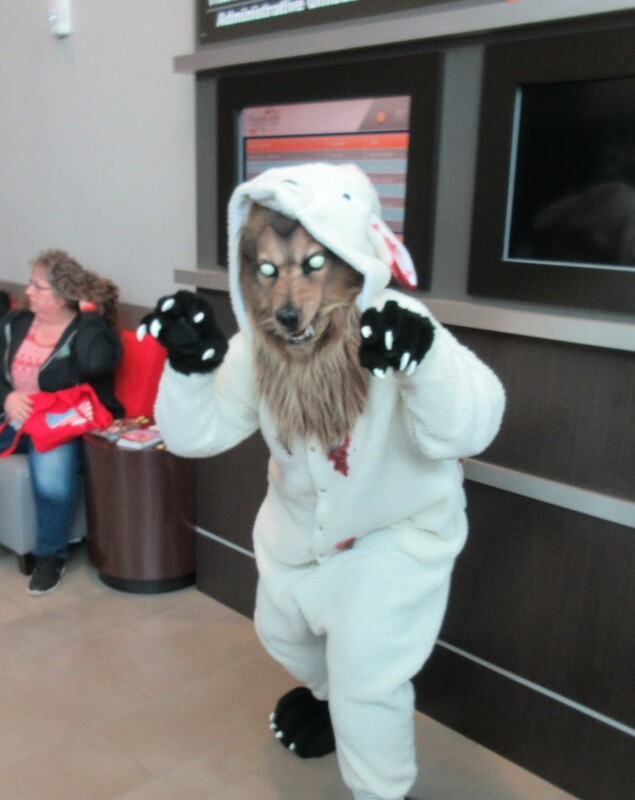 Due to inclement weather, cosplay presence was at critically low levels on Saturday. A few hardy souls brought their A-game anyway for the sake of art and ambiance. Every horror con must have at least two classic slashers in the house or else why even bother. 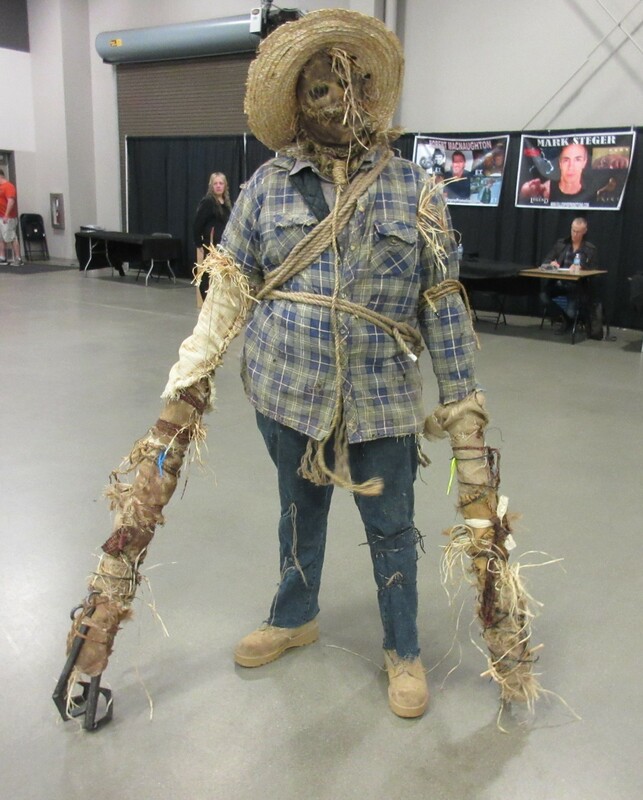 An evil scarecrow from, uh, Sons of the Children of the Corn or The Mirror Universe of Oz or whatever. The proverbial wolf in sheep’s clothing. 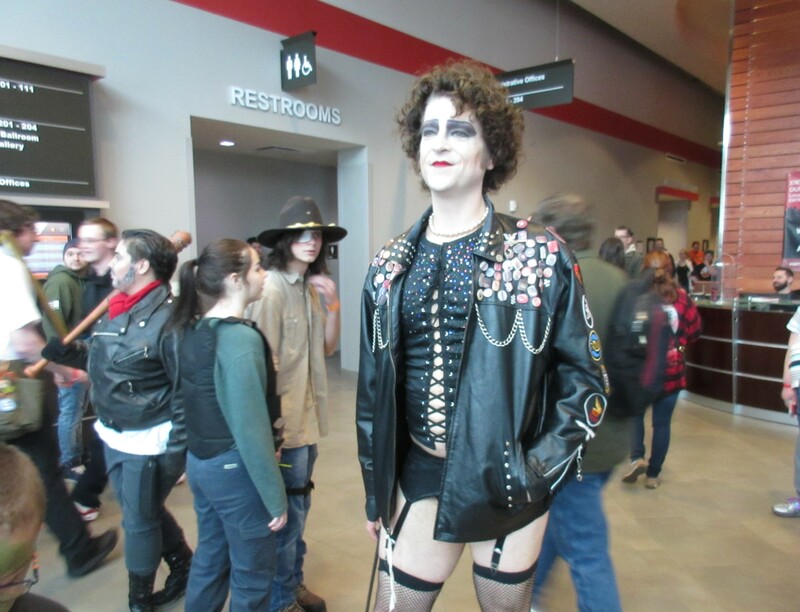 Frank N. Furter, with unexpected cameos by Negan and Carl from The Walking Dead. A pumpkin pimp. Or “pimpkin”, more like. We didn’t join the lengthy line for major guest Gaten Matarazzo because there’s something about meeting actors younger than my son that seems like too weird a notion to wrap my brain around, but we did say hi to another key player from Stranger Things — Randy Havens, a.k.a. Mr. Clarke, the best TV science teacher since Mr. Wizard, a lot less evil than that sinister Walter White. Because whenever our young heroes need deep science knowledge to move an episode forward, Mr. Clarke is always there to unknowingly explain plot points and provide solutions to problems they couldn’t possibly reveal to him, all without asking probing questions or reporting them to the authorities. Mr. Clarke is like a distant cousin to my real-life high school chemistry teacher. He’s one of my favorite parts of the show and I remain bitter than he seemed to have less screen time in season 2. Promo pic for our new science-adventure dramedy “Randy & Randy”. Anne didn’t watch many horror movies in her youth, and won’t go within 500 yards of them today (I bear some guilt for this, having insisted in the early days of our relationship that she simply “had to” watch Scream), but she remembers one time sitting through Psycho IV: The Beginning costarring Henry Thomas, better known to her as Elliott from the afore-referenced E.T. the Extra-Terrestrial. She had planned to hang back and watch me have most of the fun, but she couldn’t resist a moment with Elliott. Hopefully we weren’t the only attendees who resisted the urge to greet him with “E.T. phone home!” Poor guy has probably heard that seventeen times a day for the last 35 years, which would work out to 217,175 times he’s had to suppress a rising urge to kill. Our next guest should need no introduction, but maybe he does. 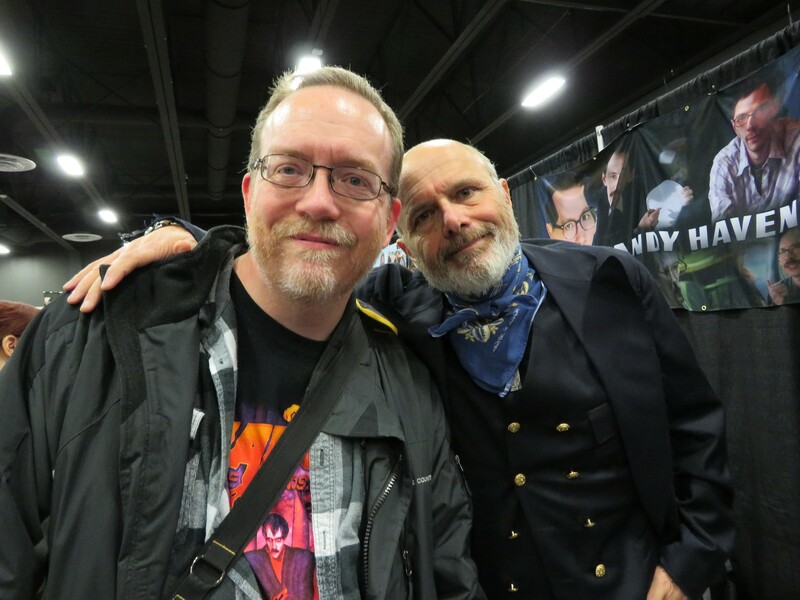 I know he was in The Goonies as Ma Fratelli’s younger bumbling idiot son, but I first recall looking up the name of Joe Pantoliano after seeing him yelling a lot at Robert DeNiro in Midnight Run. Since that time I’ve seen him in such films as Memento, The Matrix, The Fugitive, Daredevil, the Bad Boys cinematic universe, and even the TV-movie Ed McBain’s 87th Precinct: Ice, in which I thought he was perfect as bald policeman Meyer Meyer from the original novels. I was one of six viewers who taped that on VHS when it first aired. He’s always been the kind of character actor who makes any scene better and makes you wish the other actors would work harder to keep up with him. He brought copies of one of his memoirs to sell, which was an awesome surprise. Longtime MCC readers know I love buying new reading matter from con guests. Our last line of the day was our longest, but not too much of a wait. At the end: Julie Benz! Fans may know her from Dexter, Syfy’s Defiance, and more recently Hawaii Five-O, but to me she’s Darla from TV’s Angel, the vampire responsible for “siring” Angel himself and giving birth to their terrible son, among other evil acts. I also recall the short-lived series No Ordinary Family, in which she and Michael Chiklis presided over their own sort of Fantastic Four, but saw it canceled after one season because ABC wasn’t really equipped for super-hero shows back then. Another keeper for our jazz-hands gallery. 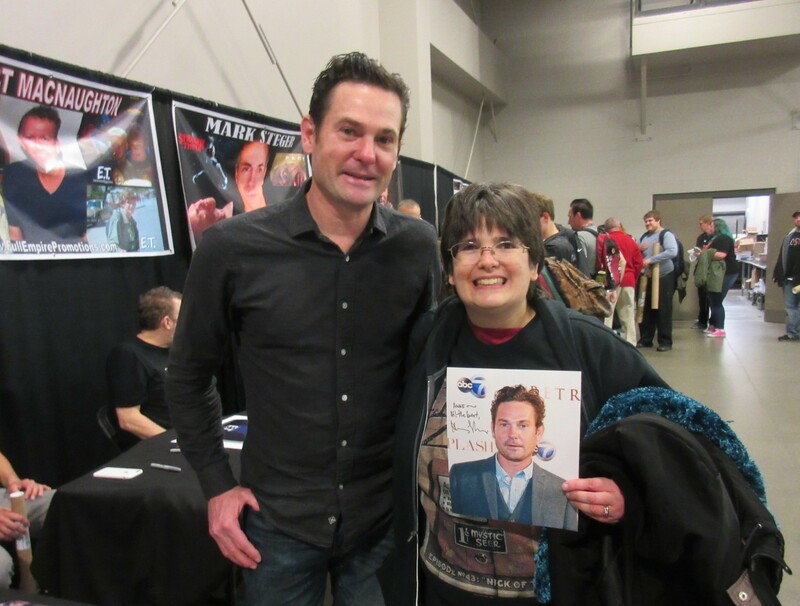 …and that was about the size of our day at our first HorrorHound Cincinnati. These were merely a fraction of the prodigious guest list. A few others we’d already met; most were very much entrenched in horror and splatter and whatnot, a bit beyond our normal scope. All the best panels were scheduled for Sunday, but we couldn’t stick around quite that long.